Everyone needs a good blub once in a while, though I do reserve any I am forced into by circumstance or emotion to a private time and space. No one needs to see me like that haha. I think men should be able to cry and express their emotions. This one was awkward though! You picked, sat down to watch, and then watched 'After The Wedding' with your male friend in a be-cushioned room which had, what can only be described as, the lights off, and now you're complaining about his blubbage? Ha! That's quite the picture in my mind!! I'm an emotional person, and while I don't think I blubber, I do shed tears very easily. My husband has found that as he's got older, he has become more emotional, and will now cry at sad moments in movies. But he does it very quietly. He'd got through 'Message in a Bottle' without blubbing ... how was I to know? 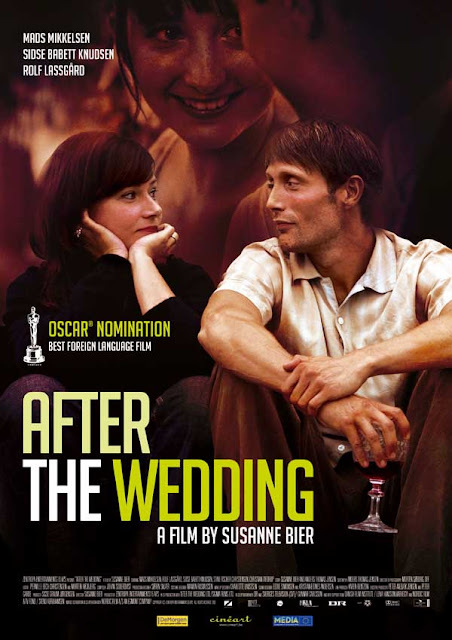 I liked that Danish actor in "En kongelig affære" (A Royal Affair). Bam, another foreign movie for you all to see. Loved the Danish. I'd never heard anyone speak it before but it's a beautiful language. I've never seen a man cry. Never. I don't know what a crying man looks like, let alone a blubbering one. Set yourself a goal bibi - 'this week, I will make a man blub.' I'm sure you can do it if you concentrate. That'll be a bit difficult, seen as I'll be working all week, and there are only women at the office. Basically, what you're saying is I have to go OUT, into the real world (*shudders*), to find a guy and make him cry his eyes out. Whaaaat? Bibi that is shocking! I can't believe you've never seen a man cry. And C is a delicate soul, so go easy on him. "To Blub". It's a really good word Ed! Especially as an adverb - "blubberingly". I hate to correct you Chlobo, but 'blubberingly' is only applicable specifically and exclusively to the way whales wobble after a violent sneeze. Yup. I just checked it in the OED - C's right.